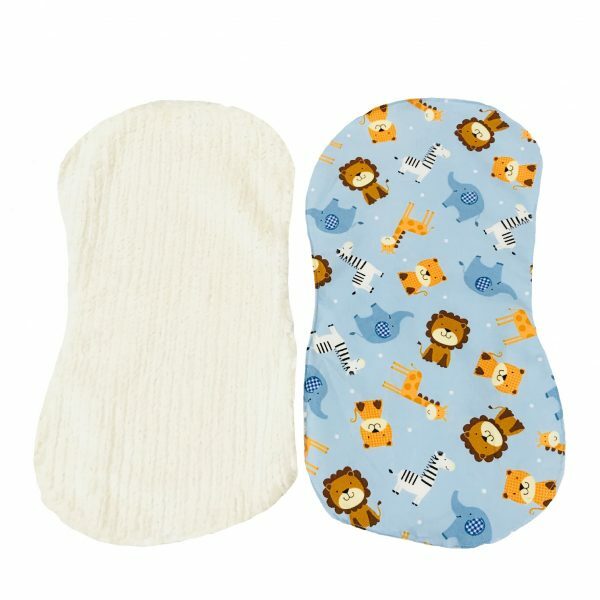 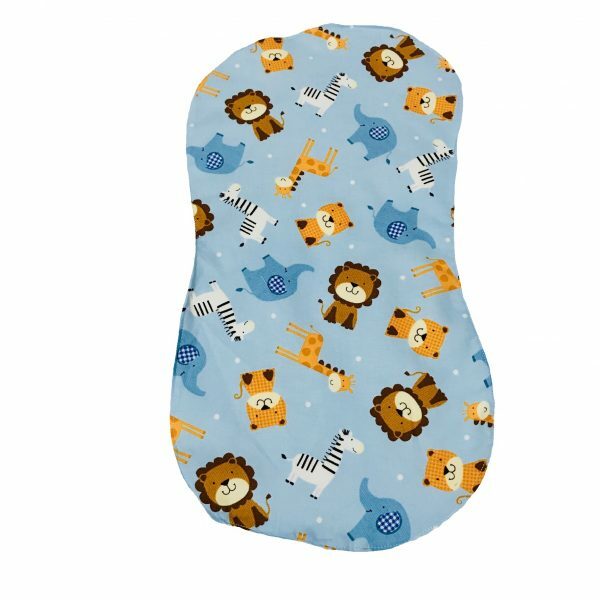 Keep both you and your baby clean with this chenille and cotton infant burp cloth! 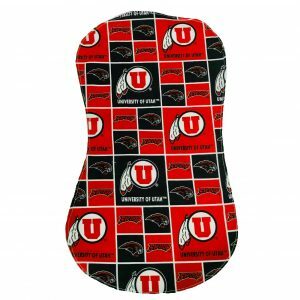 Made from high quality cloths, this burp cloth measures 17″ tall x 10″ wide. 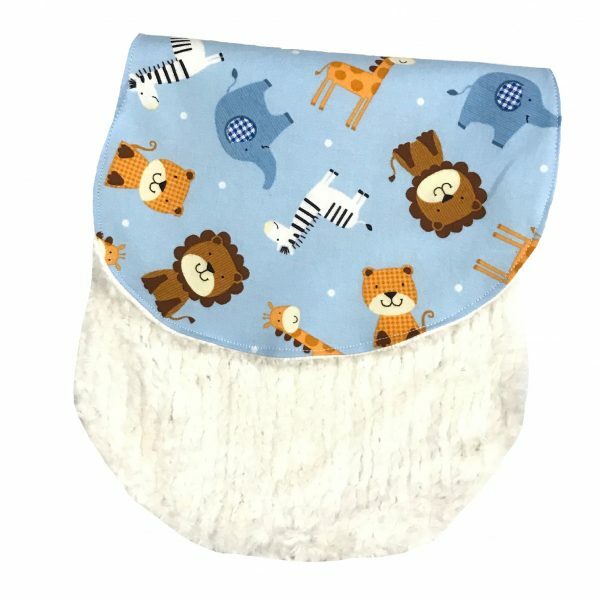 The front side, made from the finest light-weight cotton, has a light blue background with white dots displaying cats, elephants, giraffes, and zebras. 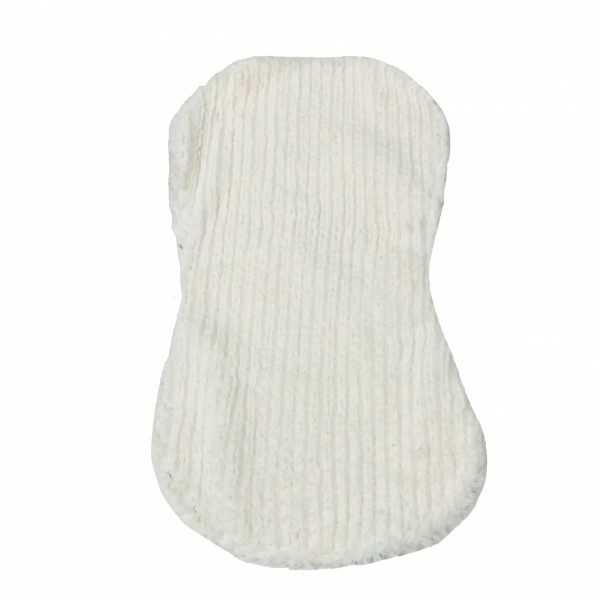 The back side, made from the softest chenille, allows for easy clean up and absorption of fluids.